There’s no need to retrain because Thinkfree Office NEO (Global Edition) is designed to look, feel and behave like Microsoft Office. 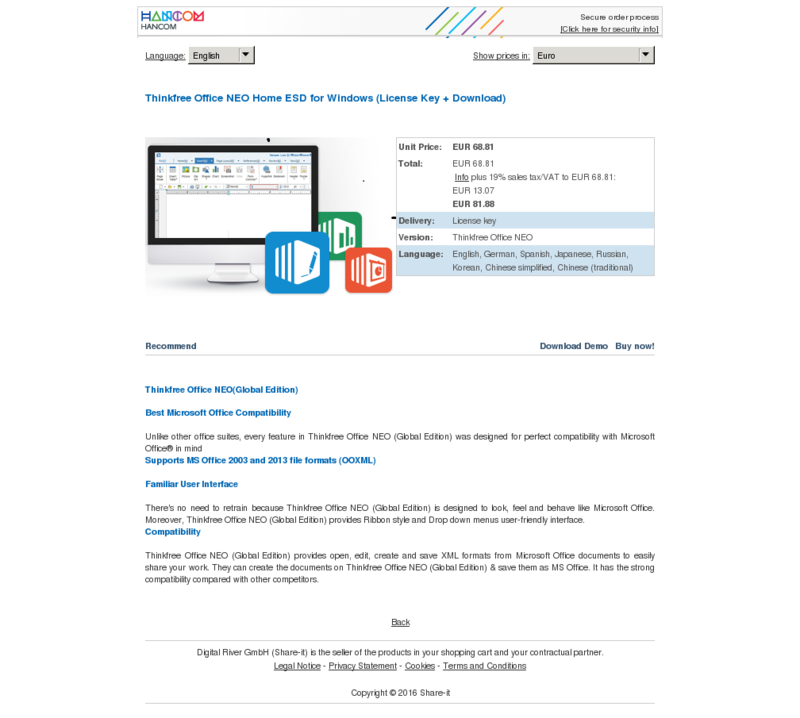 Moreover, Thinkfree Office NEO (Global Edition) provides Ribbon style and Drop down menus user-friendly interface. Thinkfree Office NEO (Global Edition) provides open, edit, create and save XML formats from Microsoft Office documents to easily share your work. They can create the documents on Thinkfree Office NEO (Global Edition) & save them as MS Office. It has the strong compatibility compared with other competitors.